A couple of months ago, whilst scrolling through my Instagram feed, I came across Shore Projects. 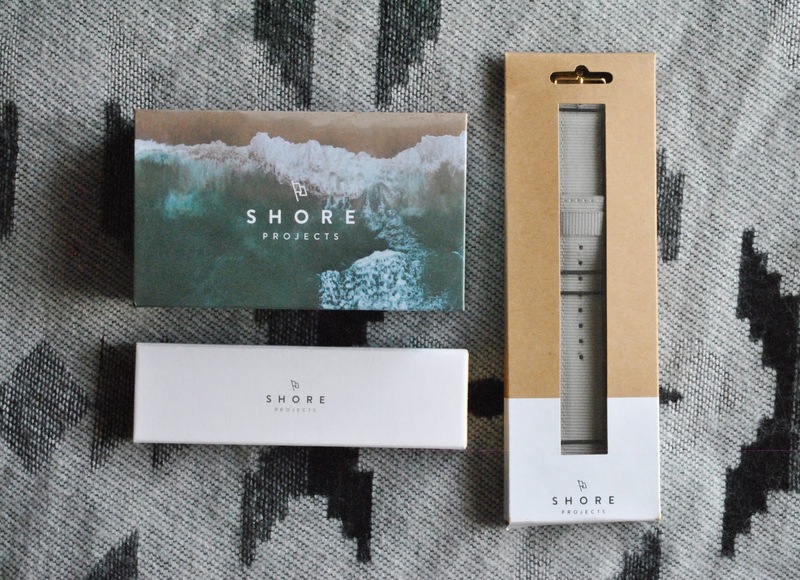 Shore Projects are an online company selling watches inspired by the British seaside. At the time they were running a give away which I entered, and even though I didn't win, I decided to order a watch anyway. I ordered the Portland watch and a grey strap, although after there was a slight problem with the watch (nothing major, just a small piece of fluff stuck under the glass which I knew I wouldn't be able to ignore) I was sent another strap with my replacement, so I also have the light brown strap. 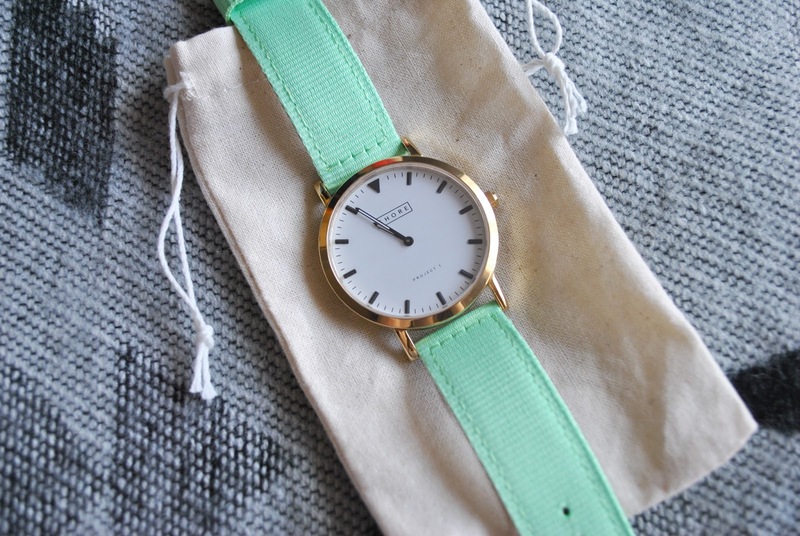 I can't speak highly enough of Shore Project's customer service; they got back to me really quickly despite the fact it was late in the evening, and they were really lovely about it, and within a couple of weeks I'd received a replacement watch along with the free strap. 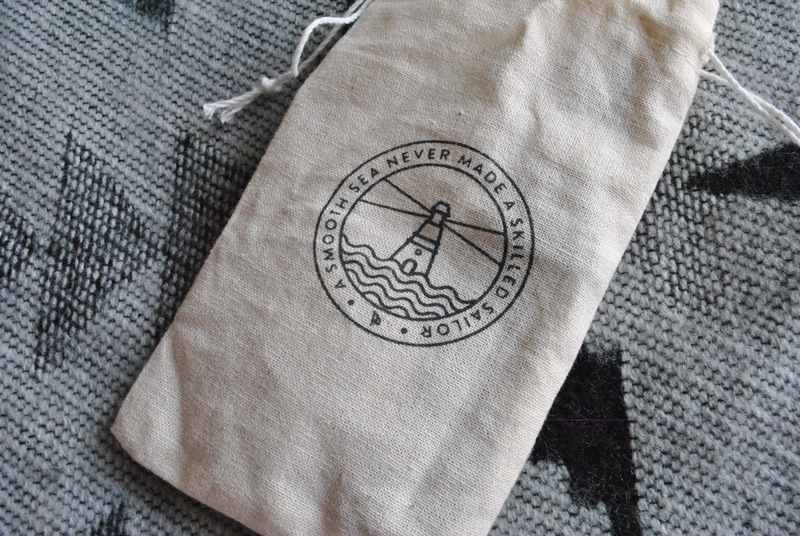 The products come in the most beautiful packaging, and each item comes with its own canvas storage/wash bag, each of which has a lighthouse design on the front along with the quote 'A smooth sea never made a skilled sailor'; a lovely little reminder. And of course, the watches themselves are beautiful. They're quite large, but they're not overly chunky or weighty, and the simple faces give them somewhat of an understated look. There's definitely something nautical about the design, and it makes me think of then British coast in Autumn or Winter, when the waves are cool and all the colours of the sand and the sea seem muted somehow. Since the watches are quite simple they're perfect for daytime wear, but with the glossy casing they can easily be dressed up, particularly if you were to opt for a dressier strap such as this black one. I'm absolutely in love with my watch, and I would really recommend taking a look at the Shore Projects site to see the full range. Which combination of faces and straps would you wear?